At this point I realize I have some educating to do, but must tread carefully as I am in the midst of “nonbelievers.” I must avoid the temptation to spew out sarcastic remarks, such as “You mean you don’t believe in behavior analysis?” or “You don’t believe there is a cause for all behaviors and that it’s helpful to have an understanding of variables that lead to behavior?” I think to myself that it’s not a matter of whether or not you believe in behavior analysis. The principles that govern behavior (e.g., reinforcement, punishment, extinction, shaping, etc.) are operating on all of us all of the time. They are ubiquitous. Don’t you want to understand the relationship between these events and the behavior of your child (or yourself for that matter)? Don’t you want to try to understand the variables that are at play when your child or student does not talk, learn to identify items or answer even the simplest questions? I don’t say anything because I know this is simply a misunderstanding of what ABA is. ABA is simply an acronym for Applied Behavior Analysis. Behavior analysis is the science of human behavior. B.F. Skinner is the father of behavior analysis. Skinner demonstrated that our physical and social environment primarily determines what we learn. Certainly physiology and genetics play a roll as well by establishing potential or setting limits. For example, if you are only 5’2″, you may never be able to dunk a basketball, regardless of your training. However, you could very well become an expert gymnast. Of course, whether or not you become a good gymnast will be determined mainly by environmental factors. The confusion often stems from the misnomer that ABA is synonymous with discrete trail teaching, sitting your student at a table for 40 hours per week conducting drills that will turn him or her into a robot. Now, I do think that is possible and I do believe that is done (I have seen it), but that is not what I would call ABA. The actual case is that the teaching we do is based on the principles of applied behavior analysis. If you really understand behavior analysis, then you can understand the real causes of human behavior. If you apply that knowledge to an understanding of children and young adults with autism who cannot communicate, and you use the tools developed through behavior analysis (referred to as behavior modification), then you can have a lot of success teaching children to communicate. Do you think it is important to conduct a thorough analysis of a student’s language and learning deficits (VB-MAPP vs. standard age equivalent score)? Do you think it is important to conduct a functional analysis of problem behaviors? Do you think it is important to break down skills into manageable units, to teach them and to teach the foundation or prerequisite skills? Do you think it is important to tap into the student’s motivation and use whatever it takes to make learning interesting and fun for the student? Do you think it is critical that much direct teaching is necessary if the student does not learn in group settings? Do you think it is important to provide many meaningful learning opportunities throughout the day? That is, would you agree that 2,000 learning opportunities per day are better than 150? Do you think it is important to teach in ways that promote generalization and avoid rote responding? Do you agree that procedures such as reinforcement, shaping, chaining, prompting and fading are important? Do you agree that the success of the child is in large part directly related to the skills of the person or people who are down there in the trenches with the student? Most people who say they don’t do ABA will agree with those statements. However, I also find it troubling that many people who say they do ABA don’t do anything like those statements (which, of course is most likely what was observed by the people who say they don’t believe in ABA). Only recently has behavior analysis been so closely connected with autism. I remember a bumper sticker from the 1970s that read “Better Living through Behaviorism.” Back in those days, autism was diagnosed at about 1 per 10,000 children. But in 2012, the autism rates have risen. About one in 88 children has been identified with an autism spectrum disorder (ASD), according to estimates from CDC’s Autism and Developmental Disabilities Monitoring (ADDM) Network. That makes behavior analysis all the more important today. Behavior analysts are believed by some to be “anti-sensory” — opposed to sensory diets, massages, deep pressure, jumping on a trampoline, etc. when working with those who have autism or related disorders. However, this is not necessarily true, and I would like to set the record straight. 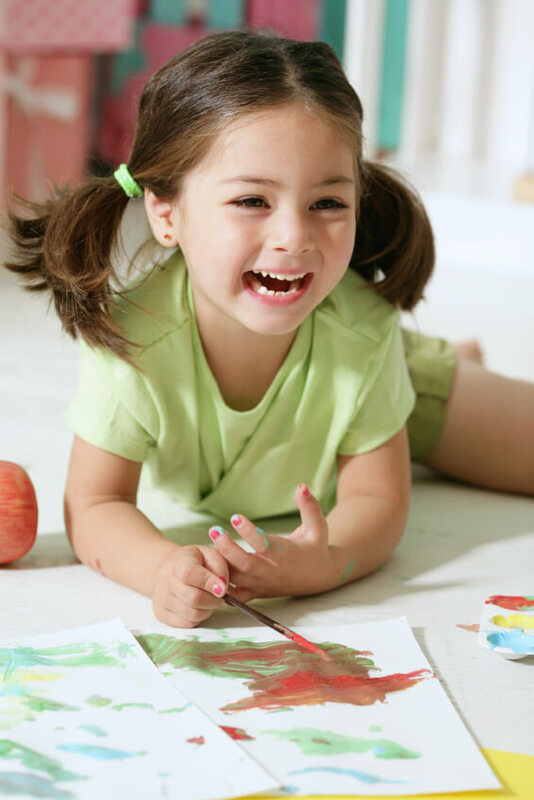 Each of us, children in particular, is highly motivated by sensory input, sensory variation, movement and pressure. Ever catch yourself tapping your pencil, twiddling your thumbs, biting your nails or popping bubble wrap (a personal favorite of mine)? If so, would you say you have “sensory needs” or sensory issues? Would you throw yourself on the floor, kicking and screaming, if you were told by your dentist you don’t need X-rays and couldn’t wear the weighted lead vest? Or if Kroger was out of pinwheel cookies? I hope not. However, it’s not unusual to see a person with autism engage in negative behaviors that cease when a vest is applied or the cookie is delivered. In both cases, there is something lacking from the person’s immediate situation. A good tantrum is likely to result in the receipt of these items. Also, in both cases the behavior is likely to decrease once the vest or cookie is received. This is evidence these items are functioning as reinforcers and the behavior is functioning as a mand (request). Why is it that in the first case (throwing a tantrum to get the vest), it’s often said it’s because the child has “sensory needs?” However, in the second case (throwing a tantrum for the cookie), it is rarely said that the child has “food needs.” Activities stimulating the senses can serve multiple behavioral functions, such as reinforcement and as a motivating operation (MO). Jumping on a trampoline is likely to be repeated because of its reinforcing effects — it is fun. This leads to the question, “Do I jump on the trampoline because I have to jump on the trampoline, or because it’s fun?” Either way, I am going to do whatever I can to get the opportunity to jump on the trampoline (thus, the reinforcing value). Again, the behaviors one engages in depend on history of reinforcement and punishment, verbal repertoire, social contingencies (e.g., are they effective?) and perhaps the level of deprivation or strength of the MO. That is, if I had been jumping on the trampoline for extended periods of time, I may be less motivated to continue jumping and less likely to engage in behaviors that will allow me to jump. I agree there are children/people with autism who have extreme reactions to sensory input (e.g., loud noises, bright lights) and there are those who are extra sensitive to textures or certain clothing (e.g., the tag in the back of a shirt). These children/adults learn to engage in behaviors that reduce the aversive nature of such stimulation. But there are also people without autism who are sensitive to certain stimuli. I did not have the language to ask for the music to be turned down? I did not know that leaving was an option, or did not know how to ask, or was forced to stay? I was not affected by the same social consequences as most people? That is, I don’t care what I look like or if I get invited back to this party. As a matter of fact, I have no idea how a tantrum here is going to affect my social standing among my peers in the future (but that is a moot point because I don’t care). If all that were true, I would likely throw a tantrum if that would get the music turned off or get me removed from the room. Now, suppose I do have those skills, and I can always find a way to get out of situations that cause stress or sensory overload; or I tough it out because of the social contingencies that have been shaped up over my lifetime. Chances are, no one would suggest I had sensory issues and put me on a sensory diet or prescribe sensory integration therapy. However, a person with autism who may have the same level of discomfort who escapes the situation in the only way he or she knows how is often said to have sensory issues. I am not suggesting that people with autism don’t have sensory issues. My point is that perhaps there are other explanations in many of the cases. I believe these other possibilities need to be carefully analyzed. I often wonder if some people engage in tantrum-type behavior because the situation is unbearable or the tantrum is a surefire solution. Social contingencies are different. Kids with autism who do not have social contingencies operate solely for the here and now. I have worked and studied in the field of ABA for thirty years now, and the bulk of my work has been helping children with autism and related developmental disorders. When the Behavior Analysis Center for Autism (BACA) was founded in 2009, our mission was to create an optimal learning environment for our clients and to support our staff with an intensive training program and ongoing education to ensure that we were delivering the highest level of service to our clients. We now have four BACA centers throughout Indiana, in Fishers, Zionsville, and Elkhart. We have assembled an amazing clinical team, including PhD’s from around the country to offer staff training seminars, research analysis and to refine our curriculum. The effort to make BACA the best it can be requires daily attention, and we are always looking for ways to improve. At BACA, we work to provide excellence in services to a wide range of children and young adults with ASD through our facilities in a variety of settings as well as provide services in a positive and caring environment. Our goal is to provide these therapy services for children and young adults to enhance the quality of their lives. The Behavior Analysis Center for Autism (BACA) provides a continuum of applied behavior analysis (ABA) services to children and young adults with autism in four different locations, with two centers in Fishers and new centers in Zionsville and Elkhart, Ind. Treatment is based on current research findings from the most experienced scholars in the field of behavior analysis in the areas of: teaching language, social, self-help, academic and employment skills. Leading all the centers as founder and executive director is Carl Sundberg, Ph.D., BCBA-D, one of the first experts on teaching children with developmental delays in central Indiana. He received his doctorate degree in Applied Behavior Analysis from Western Michigan University (WMU). While a graduate student, he taught behavior analysis at WMU for seven years. Dr. Sundberg has published in The Analysis of Verbal Behavior, and A Collection of Reprints on Verbal Behavior. He has more than 25 years of experience in the field of mental health and has specialized in early intervention with children with autism and other developmental disabilities for the last 15 years. Since 1996, Dr. Sundberg has assessed and worked with more than 400 children and adolescents with autism spectrum disorders and more than 200 families. BACA currently has five Board Certified Behavior Analysts-Doctoral, 16 Board Certified Behavior Analysts (BCBA), four Board Certified Associate Behavior Analysts (BCaBA), an onsite speech pathologist and an occupational therapist. All therapists have a minimum four-year college education and have gone through rigorous training. BACA’s implementation strategy includes creating an enriched learning environment at each facility through the utilization of B. F. Skinner’s analysis of Verbal Behavior within the framework of Applied Behavior Analysis (ABA) to teach children with language and social deficits. BACA also provides natural environment training (NET) in the community and home and coordinates with families and outside professionals to create a cohesive team to benefit clients. By ensuring the staff receives and applies intensive, ongoing training, BACA provides the most efficacious ABA services to children and young adults with autism to improve their quality of life. Cost: The full day workshop costs Family (Early Bird £200 / Full Price £250), Professional (Early Bird £250 / Full Price £300) . Target Audience: Parents and Professionals. Speur-Ghlan Early Intervention Service is proud to present Drs Robert and Lynn Koegel from the University of California, Santa Barbara, who will be presenting the second UK based PRT Level 1 training on 16th and 17th June 2016. This two day event will provide delegates with an accreditation in Pivotal Response Treatment at an introductory level. PRT is currently one of the best validated approaches to treating children with autism spectrum conditions and has a huge body of research evidence supporting its efficacy. 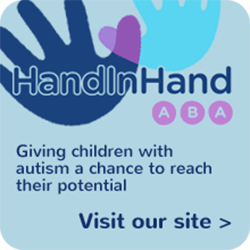 Speur-Ghlan is a small innovative charity providing specialist therapy programmes to young children across Scotland with developmental challenges, including autism spectrum conditions. We are the first service providing this type of evidence based approach to young children with disabilities and we already use PRT in our therapy programmes and have found it to be an extremely effective approach for developing functional verbal communication in our youngest children. Residential options can be provided and we have an allocation of 50 rooms on site. Pivotal Response Treatment (PRT) is an evidence-based comprehensive behavioral intervention for individuals with autism. PRT is a naturalistic ABA teaching approach that focuses on targeting pivotal areas of development (such as motivation, self-initiations, and self-management) rather than targeting each individual potential target skill. These skills are pivotal because they are the foundational behaviors upon which learners with ASD can make widespread and generalized improvements in many other areas. By targeting these critical behaviors, PRT® results in widespread collateral improvements in communication, social, and behavioral domains. (PRT)® Training provides a strong a strong knowledge base of PRT® research and Methodology. This workshop is a lecture style trainings with a focus on video examples to demonstrate the application of each PRT® procedure. A question and answer period is included; allowing for participants to engage in a dialogue with trainers and receive individualized support. Attendees of the two-day training are automatically certified in PRT® at Level I: Introductory Awareness of PRT Research and Methodology. Target audience: This training will be beneficial to families with a child with ASD and/or individuals working with children with ASD in professional capacity, including special education teachers, general education teachers, classroom and support assistants, speech and language therapists, clinicians/interventionists/therapists, clinical and educational psychologists, and other ASD direct service providers or consultants.